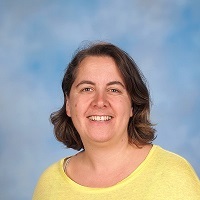 Sarah Asome is the Learning and Curriculum Support Leader at Bentleigh West Primary School in Victoria and an Associate Member of Australian Dyslexia Association (AMADA) . In 2015 she was awarded the Victorian Outstanding Primary Teacher Award. Bentleigh West Primary School is well recognised for its best practice approaches to literacy and numeracy and was a finalist in the Outstanding Inclusive Education Award for 2015. Sarah has also appeared in the “Outside The Square‘ a DVD used for professional development in relation to dyslexia and explicit literacy and language instruction. In 2017, she appeared on SBS ‘Insight’ A Teacher Who Changed My Life. Sarah will present at the Special Needs Symposium.